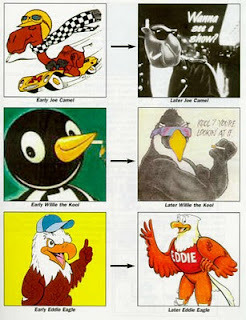 Good history of Eddie Eagle. Is it some weird coincidence that the NRA wants children to be exposed to Eddie Eagle--but don't want to require gunowners to have mandatory training? Why do they resist any effort that might prevent kids from coming across guns? Further, there's no literature to suggest 'Eddie Eagle' works. In addition, there are studies that show "Just Say No" programs, like Eddie Eagle, don't work. Yep. Cartoon character with a sensible message. Just ignore the NRA logo, kids, and nevermind that nonsense you hear about gun locks, child access prevention laws, or the those annoying statistics about gun-related deaths! Really, we're not trying to sell guns. Really! The Eddie Eagle programme has been proven to be ineffective. What NRA logo. Eddie Eagle doesn't have an NRA logo and neither do the materials and videos. VPC propaganda has not proven it ineffective just because they say so. Nice try though but we have already established that single issue advocacy groups like VPC are not a good source. 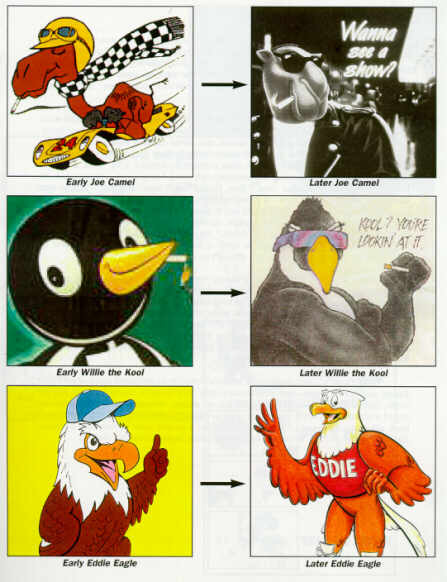 The Eddie Eagle images that are part of the Eddie Eagle program ARE an NRA logo. If you don't believe that FWM, try using it in a public fashion without the permission of the NRA. The NRA uses it for publicity by making it known this is THEIR program. 20/20 did a segment showing that the Eddie Eagle program did NOT work. Funny, the NRA logo doesn't appear on any of the materials. Of course you wouldn't know that since you haven't bothered to look at the materials before passing judgement. Uhh, NRA is BAD, uhh. And Laci says I grunt. How about the Michigan legislature found the VPC arguments persuasive enough to mention them in the report I cited, FWM? You do grunt, FWM, althought that has nothing to do with the weight. You just grunt your disapporval. I think that was a grunt of disapproval. BUt, as I said, the Michigan Legislature found the VPC and other group criticism of Eddie Eagle to be valid. One of the pains about being here is that my searches turn up more material on Eddie 'The Eagle' Edwards than the USNRA gun safety programme. And there is a British NRA as well. I didn't need a study to tell me the Eddie Eagle program fails. I just needed to raise a couple kids to know that. Close enough to a logo for me.